A Louisiana man found out that turning himself in on a second-degree murder warrant in New Orleans wasn’t as easy as he thought it would be. Frank Sams Jr. spent nearly an hour on Feb. 6 pleading with police to arrest him before they actually did, an attorney said. The 25-year-old hoped to start the process of fighting the murder charge but lawyer Kelly Orians said deputies refused to process Sams because he didn’t have a state ID on him, The New Orleans Advocate reported. 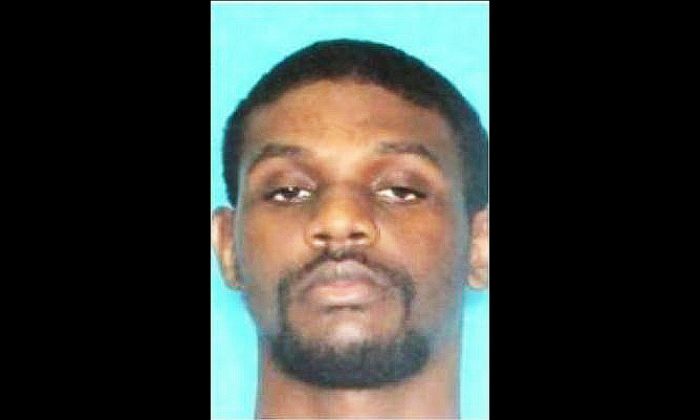 The impasse ended after Orians produced a copy of a news article that featured Sams’ picture and noted that he was wanted for second-degree murder in connection with the fatal shooting of a gas station clerk in September. Sams is being held on $500,000 bail. Orians accompanied Sams to the jail, but said the Orleans Public Defenders Office will handle his murder case. Orians could only laugh at the situation, despite her concern for Sams and the shooting victim’s family. “This is all very serious to us, and yet we walked into an agency tasked with protecting our community, and it was like it was a joke,” she said. The Sheriff’s Office’s general counsel says it’s unusual for someone to surrender directly to jail on a murder warrant, rather than through homicide detectives. “However, our policy does not require any identification for booking. We are investigating the claims based upon the information provided by The Advocate,” Blake Arcuri said. Police allege that Sams and Farnell Jackson Jr. were caught on video robbing the Fuel Express Mart early on Sept. 18. Store clerk Olah Bessid, 58, was fatally shot. Jackson has been in custody since he turned himself in to police in September. He and Sams face life imprisonment if convicted of second-degree murder, armed robbery and other charges in a Jan. 10 indictment. Sams was on probation for possession with intent to distribute marijuana and possession of a firearm by a felon. In certain situations, we might call the police if we hear someone scream “help me!” Well, that’s what a UPS driver heard coming from a house while making a delivery in Clackamas, Oregon, one day. But when the police arrived, all they could do was laugh. UPS driver Lee Purdy heard someone crying “help me!” from inside a residence where he was delivering packages. “I wasn’t sure what to think at first,” he told Today. Purdy decided to call his wife and explain the situation, CBS News reported. His wife then called the police for help. “It was clearly weighing on him, so she thought she’d better call,” Brian Jensen, public information officer for the Clackamas County Sheriff’s Office, said. When Deputy Hayden Sanders arrived, he didn’t find a human being calling for help. Instead, it was a pet parrot named Diego. Sanders saw that the parrot was uninjured and was not in any need of police assistance. Diego’s owner, Susan Baird, said Diego is very talkative and mimics cats and dogs and people. “He’s very personable,” Baird said. Diego also “says quite a few things,” and “help me” is one of the things that he often says. As for why, Baird explained that Diego doesn’t like to be away from his owner, and when she was away for two weeks, she left Diego in her daughter’s care. Baird said Diego must have called “help me!” when Purdy was near the home, thinking the UPS man was Baird returning. The Clackamas County Sheriff’s Office shared the hilarious episode on their Facebook page. A lot can be read between the lines in how China's state-controlled media report on topics that are deemed sensitive.